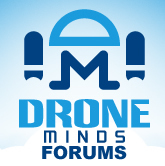 Discussion in 'General Drone Forums' started by BSHARK, Jul 27, 2018. At the moment drones could fly only several minutes, but imagine if you get hours and hours of flight time, imagine if you get 1.5 kg of payload, this will be useful for thousands of purposes, from search and rescue, disaster responds utility, wireline & field service inspection. Range, reliability, image stability and precision GPS autopilot are important features. Finally, we can get it. The first hydrogen Powered Drone is designed by BSHARK TEAM, The Narwhal 1 is built on Hydro – line design. An internal combustion Hydrogen Fuel Cell serves as the power system, consumes hydrogen and powers the brushless motors. Besides this, a 6S Li-Po battery pack is also installed onboard to offer emergency back-up for quick climbing and quick manoeuvring. Using its hardware expansion bays in connection with a plug and play connector, the Narwhal 1 can be configured to carry any set of payloads up to 1.5Kg that you want to put into the sky. Ready to fly! Unlike most commercial drone offerings, the Narwhal 1 is not a kit, it’s an honest – to – goodness ready – to – fly fully integrated flying platform, complete with a integrated controller, propulsion system, GPS and high precision with HD transmission. I think hydrogen fuel cells will become obsolete before they gain popularity, if they aren't already?